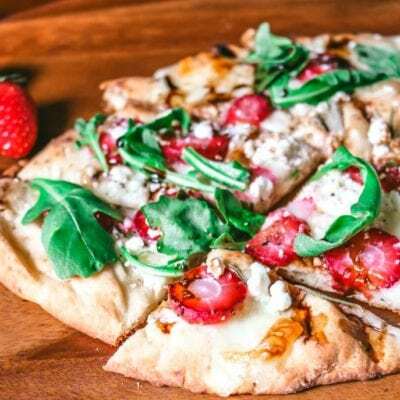 This Strawberry Pizza with Arugula is a savory, unique flatbread pizza. A cheese pizza is brought to life with subtle sweetness from strawberries, sharpness from arugula and a rich balsamic drizzle. It is a pizza like you have never had and will always remember! My daughter has an obsession with strawberries. If I let her, she would eat so many strawberries she would soon turn into one! Whether eating strawberries in sweet dishes or in savory dishes, the girl can never have enough strawberries. And one of her favorite savory strawberry recipes is this Strawberry Pizza. Strawberries on a pizza may sound odd to some, but stop for a moment and think about it. It is classic to pair strawberries with feta or blue cheese in a salad. It is also classic to top a pizza with tomato slices–and tomatoes are a fruit as well. The sweetness from the strawberries contrast perfectly with the richness of the cheese. 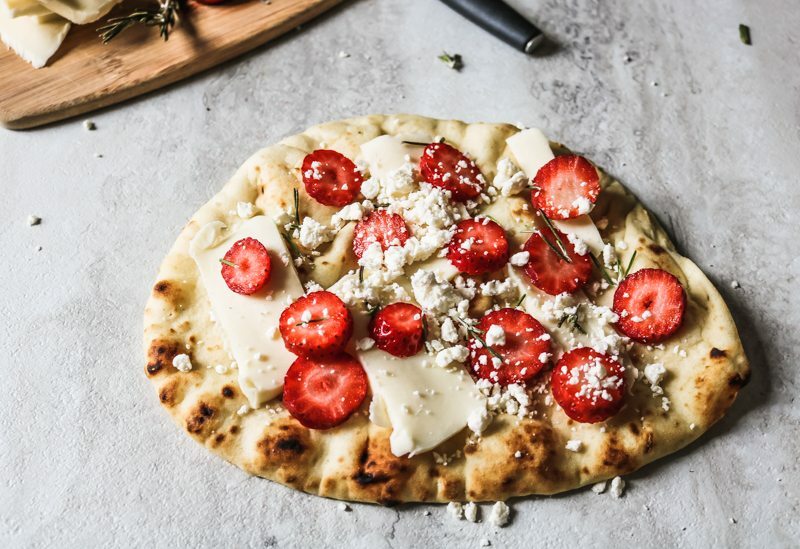 I am telling you that strawberries paired with mozzarella and feta cheese on a crispy flatbread crust is perfection–one bite and I know you will agree! Start with a naan bread or pre-baked homemade pizza crust. If using a homemade crust, pre bake for 10 minutes in a 400 degree oven before topping. 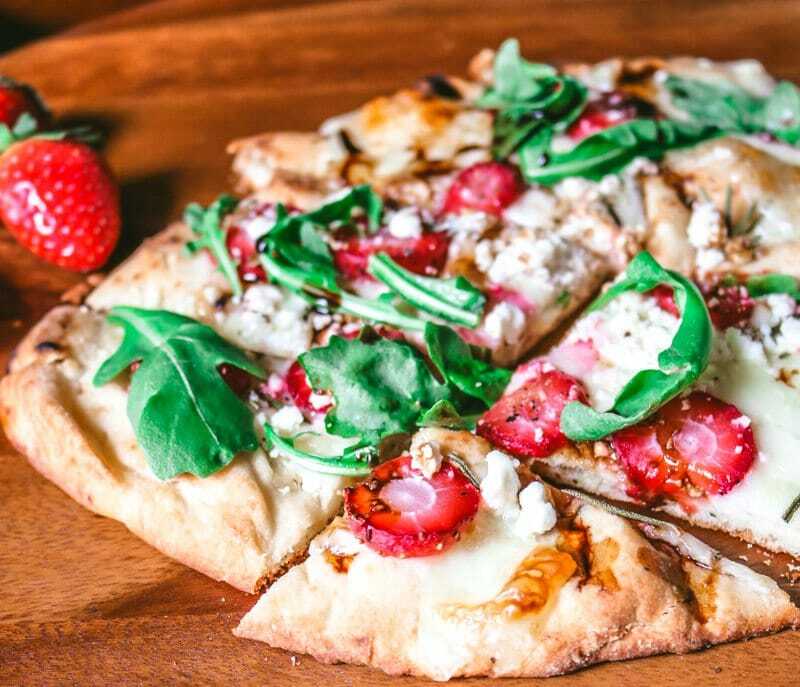 Top the flatbread with mozzarella, feta, strawberries and pinch of rosemary. Bake until the cheese is JUST melted and strawberries are warm. 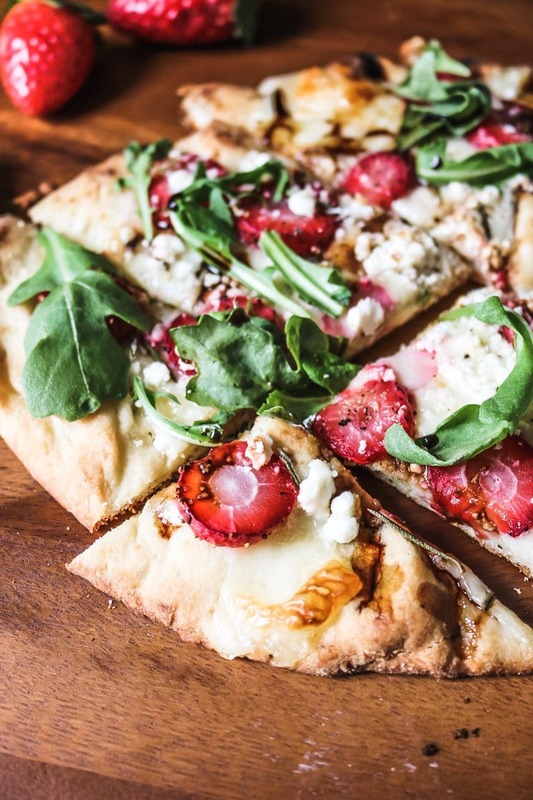 Once Baked, finish this savory strawberry pizza with a drizzle of balsamic vinegar and fresh peppery arugula. 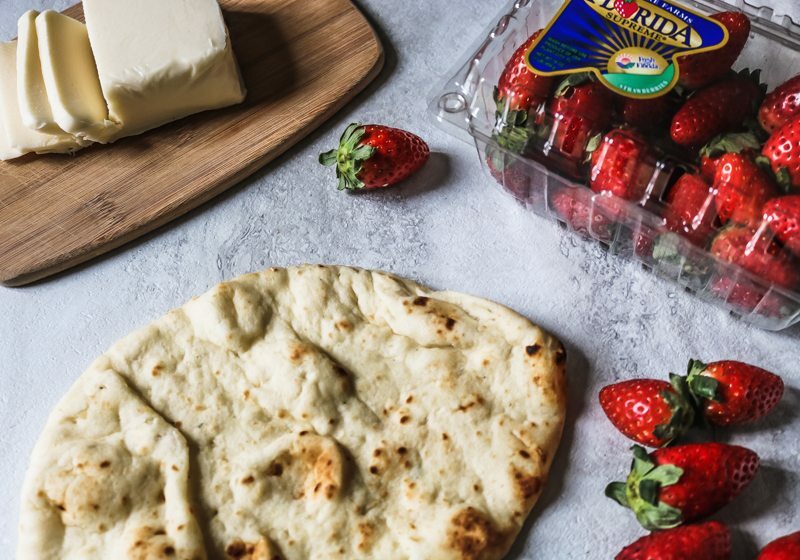 Those last two ingredients help tremendously in enriching the flavor of a this simple strawberry flatbread. Rich in Vitamin C– 1 cup of strawberries provide 160% of daily vitamin C.
Filled with flavonoid that help prevent heart disease. 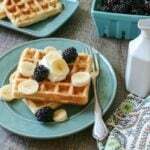 Rich in potassium which helps control blood pressure. 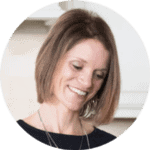 Contain phytochemicals which are known to help prevent cancer and reduce inflammation. Not to mention perfectly sweet enough to put a smile on all our faces, even without all the reasons they keep our bodies healthy. Brush the flatbread with olive oil. Spread out the slices of mozzarella evenly over the flatbread or pre-cooked dough. Spread the strawberries over the cheese and sprinkle with the feta and rosemary. Bake for 10-12 minutes, or until the cheese is bubbly. Top with arugula and drizzle with balsamic vinegar. Love this pizza! Perfect for any type of meal in my home! 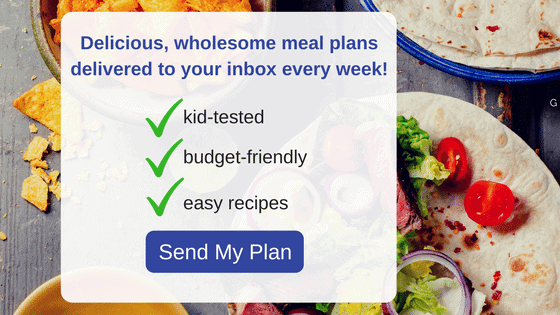 Great for a snack or lunch too! I love the flavor combo on this pizza. Strawberries & arugula, what a great idea! Thanks David. It is quite tasty! Love the flavors and colors of this pizza! This is absolutely brilliant, I love the combination!